The Olympic men’s singles final has been reduced to best of three sets, meaning only Grand Slam matches will be played over five sets in the future. The change will come into effect for the 2020 Games in Tokyo. Another change sees men’s and women’s doubles matches decided by a match tie-break to 10 points in the third set. 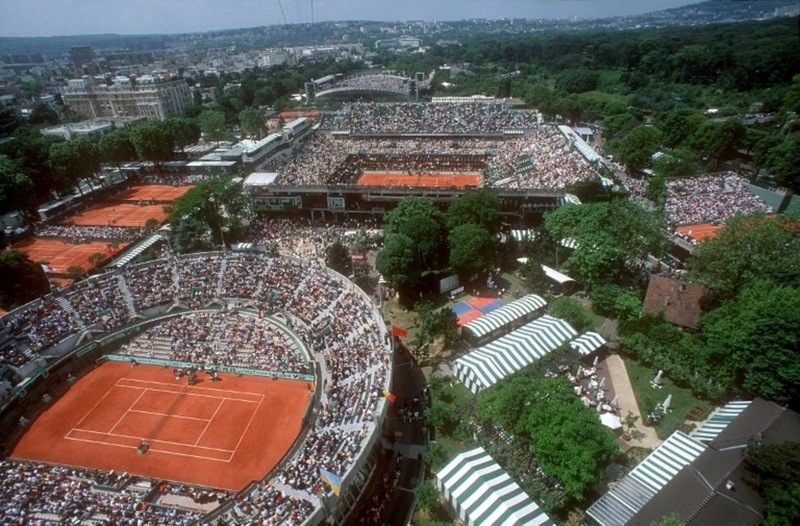 “These amendments reduce concerns of overplay for players who reach the latter stages of all three events,” the International Tennis Federation said. The men’s final being played over three sets brings it in line with the other singles matches at the Games, while the men’s and women’s doubles will follow the same format as the mixed. Britain’s Andy Murray won what proved to be the last best of five sets Olympics final by beating Argentina’s Juan Martin del Potro at Rio 2016. Ein has the option to buy the tournament within five years. He shared the news at the tournament’s home since it was first contested in July 1969, the Rock Creek Park Tennis Center, along with #NextGenATP American Frances Tiafoe and fellow D.C. native Denis Kudla, No. 84 in the ATP Rankings. D.C. Mayor Muriel Bowser, Ward 4 City Councilmember Brandon Todd and WTEF President/CEO Rebecca Crouch also attended. You May Also Like: A Shared Dream: 50 Years Of Tennis In Washington, D.C.
WTEF held a six-month bidding process that attracted worldwide interest, but Ein’s experience, his commitment to keep the storied tournament in the U.S. capital and his ongoing support for WTEF helped the entrepreneur stand out. Ein grew up close to the tournament site, served as a ball kid at the tournament for many years in his youth and has attended the event throughout his life. 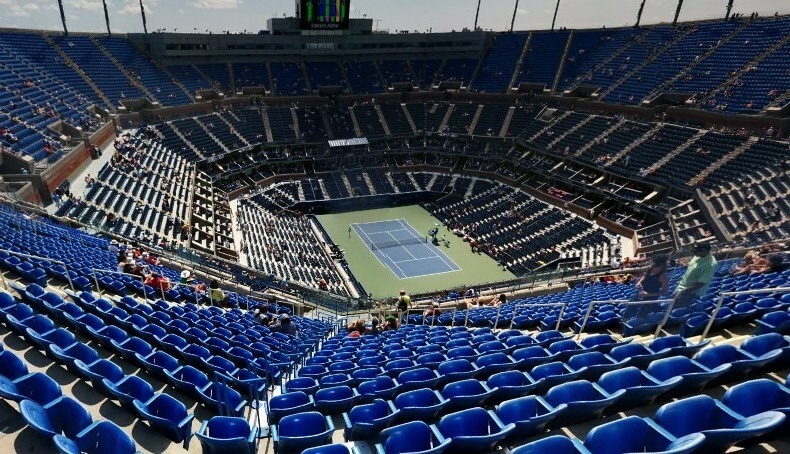 Since the first Citi Open in 1969, the tournament has featured some of the Tour’s great champions, including Arthur Ashe, Jimmy Connors, Michael Chang, Andre Agassi, Andy Roddick, Bob Bryan and Mike Bryan, as well as the players who dominate the singles game today, such as Juan Martin del Potro, John Isner and Alexander Zverev. Britain’s Liam Broady says he considered quitting the “dog-eat-dog world” of tennis last year as he struggled with his mental health. Broady, 25, is currently ranked 335th in the world after reaching a career-high 154 last April. A nine-match losing streak last summer affected his well-being and led to him seeking the help of a life coach. “I wasn’t sure if it was what I wanted to do any more because I didn’t feel happy as a person,” he said. Broady approached his older sister, and WTA player, Naomi for help and then began working with life coach Phil Quirk. “I don’t really like to complain about stuff and I only started to realise how much I was going through the motions towards the end of the year,” he said. “I fell out of touch with a lot of people who care about me, which I think is probably a very guy thing to do. Broady said turning to his older sister felt “weird” but spoke to the 29-year-old because he did not know who else to talk to about his feelings. “There’s so much talk in this country at the moment surrounding men’s mental health, and I think it’s really important with the [suicide] statistics we have, so I was really glad he did reach out,” she said. Broady’s best performance in a Grand Slam came when he reached the Wimbledon second round in 2015 after coming from two sets down to beat Australia’s Marinko Matosevic. Dominic Thiem produced a special performance to claim the biggest title of his career on Sunday, surviving Roger Federer in the BNP Paribas Open final. The third time is the charm for the Austrian, who secured his first ATP Masters 1000 trophy in his third final appearance. Thiem denied Federer a record sixth BNP Paribas Open crown, battling back for the championship 3-6, 6-3, 7-5 in just over two hours. The 25-year-old produced an impressive display under the Southern California sun, storming back from a set down to stun the Swiss and leave everyone at the Indian Wells Tennis Garden in awe. “It’s unreal,” said Thiem. “It’s a pleasure to compete against Roger in this great final. I lost my last two Masters 1000 finals, but I won this one and it feels as nice as a Grand Slam. Canadian Denis Shapovalov had been looking forward to playing Roger Federer practically his entire life. Before the match, he called it “a dream come true”. The 19-year-old, however, didn’t envision their semi-final going like it did on Friday night at the Miami Open presented by Itau. The Canadian was nervous to start, and that was more than Federer needed as the three-time champion delivered another near-perfect performance at Hard Rock Stadium. The Swiss glided around court and hit winners all match, cruising to his fifth Miami final – his 50th at the ATP Masters 1000 level – 6-2, 6-4 and will face American John Isner for a chance at his 28th Masters 1000 crown. The defending champion Isner beat 18-year-old Canadian Felix Auger-Aliassime 7-6(3), 7-6(4) earlier Friday. He’s only 18, but he’s already rewriting the history books at the Miami Open presented by Itau. #NextGenATP Canadian Felix Auger-Aliassime became the youngest Miami semi-finalist in the tournament’s 35-year history on Wednesday. The qualifier, who played an ATP Challenger Tour event two months ago, beat 11th seed Borna Coric of Croatia 7-6(3), 6-2 to set up a final-four matchup against defending champion John Isner. The American beat Novak Djokovic’s conqueror Roberto Bautista Agut of Spain 7-6(1), 7-6(5). Auger-Aliassime’s success, including his straight-sets win against the 22-year-old Coric, has surprised the teenager from Montreal. “Playing Borna, who’s been established for a few years now, I definitely didn’t expect to win. I expected more, a set like in the first. But the second really surprised me. I felt like I had margin over him, had a bit of an edge. I just felt really comfortable out there from the first balls,” he said. There was not much certainty around Bob Bryan’s comeback from a right hip replacement last August. Nobody had returned to action on the ATP Tour under the same circumstances before. 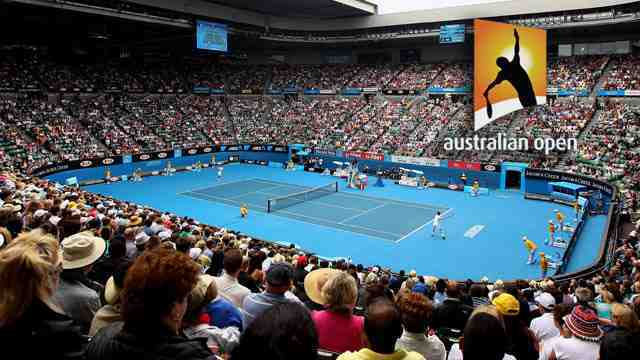 The brothers also reached the quarter-finals of the Australian Open, but fell in a tight match against eventual champions Pierre-Hugues Herbert and Nicolas Mahut. The Americans are in prime position to qualify for the Nitto ATP Finals for their 15th time as a pair. Pierre-Hugues Herbert and Nicolas Mahut completed their career Grand Slam with a dream run in Melbourne. Their only other tournament of the year thus far came at the BNP Paribas Open, where the Frenchmen lost in the second round to eventual champions Nikola Mektic and Horacio Zeballos. Herbert and Mahut currently lead the ATP Doubles Race To London with 2,090 points. 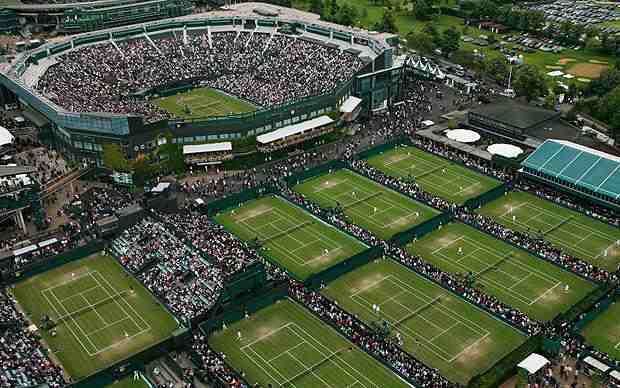 They are trying to qualify for the Nitto ATP Finals for the fifth straight year. Last season, they finished runner-up in London to Mike Bryan and Jack Sock. Nikola Mektic and Horacio Zeballos had only competed together once before the BNP Paribas Open at Indian Wells. But it didn’t take long for the Croat-Argentine team to click. After saving two match points against Herbert and Mahut in the second round, Mektic and Zeballos found their best form, eliminating four of the Top 6 seeds en route to the title. “[It’s] a little bit unreal. We’re still looking at each other and just repeating, ‘Did we just win? '” Mektic said. Mektic and Zeballos’ future as a tandem remains unclear, with Zeballos potentially spending more time with fellow Argentine Maximo Gonzalez. But even if they never team up again, Mektic and Zeballos produced a run fans and opponents won’t soon forget. 4. Ram/Salisbury A Breakthrough Pair? The highest-placed team in the ATP Doubles Race To London that has not competed together before is American Rajeev Ram and Brit Joe Salisbury, currently in fourth. The pair spent a week together in Florida training ahead of the season — which Ram says isn’t always an option for new teams — and they’ve been playing well every since. Ram and Salisbury claimed their first team title in Dubai, reached the final in Brisbane, and took a set off of eventual Australian Open champions Herbert and Mahut in Melbourne. Ram says that one of the reasons his team has enjoyed early success is that Salisbury complements him and vice versa. The American touts the 26-year-old Brit’s athleticism, and at 35 he says that he brings experience and ball-striking abilities that help them mesh well. Few doubles stories have been better than that of Argentine Maximo Gonzalez. At 35, Gonzalez has enjoyed his best season to date. Gonzalez began 2019 with four ATP Tour doubles titles, with his first triumph coming more than a decade ago at Valencia in 2008 alongside Juan Monaco. But Gonzalez went on a tear in February, winning three titles in three weeks with three different partners. He won Buenos Aires with Zeballos, Rio de Janeiro with Nicolas Jarry and Sao Paulo with Federico Delbonis. The week before Buenos Aires, he made the final in Cordoba with Zeballos, so he went a stretch during which he won 14 of 15 matches. Gonzalez’s play has seen him climb to a career-high ATP Ranking of No. 28. Henri Kontinen and John Peers won the Nitto ATP Finals in 2016-17, but they surprisingly failed to qualify for the season finale last year, finishing the ATP Doubles Race To London in 10th place. But the Finnish-Aussie duo showed signs of its best form immediately this season. Kontinen and Peers made the Australian Open final (l. to Herbert/Mahut) and then captured their 14th tour-level trophy as a duo in Rotterdam. The veterans are currently third in the Race. Lukasz Kubot and Marcelo Melo have booked their spots at The O2 together in each of the past two seasons, and they’re making an early claim to return once again, currently sitting sixth in the Race. Oliver Marach and Mate Pavic, who were the year-end No. 1 ATP Doubles Team last year, are in eighth. 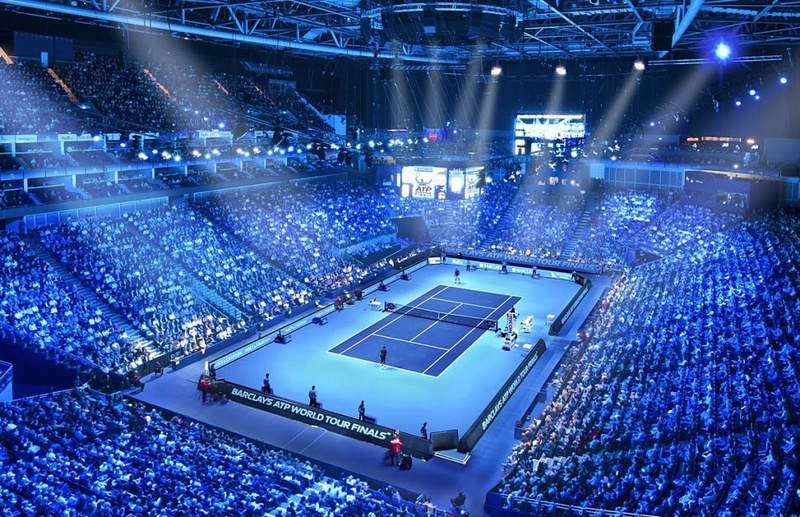 Three teams that qualified for London in 2018 that are on the outside looking in are Jamie Murray/Bruno Soares (12th), Juan Sebastian Cabal/Robert Farah (13th) and Raven Klaasen/Michael Venus (14th). 33: Auger-Aliassime’s ATP Ranking, a new career-high. He’s climbed 75 spots, from No. 108 at the start of the year. 2: Auger-Aliassime’s place in the ATP Race To Milan, which will determine seven of the eight 21-and-under players who compete at the 2019 Next Gen ATP Finals, to be held 5-9 November in Milan. The eighth spot will be given to a wild card. 35: By making the Miami semi-finals, Auger-Aliassime became the tournament’s youngest semi-finalist in its 35-year history.